Israel is a spiritual haven for many people and home to the three great religions, which all trace their roots to this small, special land.For Jews it is The Promised Land, given to Abraham by God. Many centuries of military, economic and spiritual struggle and triumph forged a people with a cultural identity inextricably bound to the land. Through millennia of exile most Jews came to look on Israel as a home they would know only in their hearts. However, with the rebirth of Israel as a nation in 1948 a culture and motherland were reunited. The result is a modern country infused with a compelling ancient heritage. Israel is sacred to Christians as the birthplace of Jesus Christ and His ministry. Jesus was born in Bethlehem; taught throughout Nazareth and the Galilee. He was crucified, buried and resurrected in Jerusalem. It was in the Land of Israel that the seeds of one of the most widespread and enduring religions in history were sown.As the site from which Mohammed ascended to Heaven, Jerusalem is considered to be the third holiest city for Muslims. ISRAEL - Incredible concentrations of spiritual and historical attractions spread throughout a dramatic and beautiful landscape. Although small in size, Israel encompasses the varied topographical features of an entire continent, ranging from forested highlands and fertile green valleys to mountainous deserts. From the coastal plain to the semitropical Jordan Valley and the Dead Sea, the lowest point on earth, one would have to travel endless hours in most parts of the world to encounter the remarkable contrasts that exist in Israel. 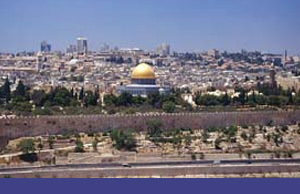 Within a day’s excursion from the major cities the tourist can travel to the lush green valleys of the Galilee as well as the desolate, golden Judean and Negev deserts; enjoy winter skiing on the snow-capped slopes of Mount Hermon and laze on the sun washed coral beaches of Eilat; “float” in the Dead Sea and bathe in the blue Mediterranean waters; shop in fashionable shopping malls and bargain in buzzing oriental bazaars; explore sites frequented by biblical and historical legends and traverse locations where today’s headline news is made; stroll through the 3000 year old alleys of Jerusalem’s Old City and jog along the colorful beachfront promenade of modern Tel Aviv. In Israel tourists will find a kaleidoscopic combination of past, present and future. The vast array of historical and archaeological attractions are exciting, varying from ancient temples, mosques and churches, to remnants from Greek, Roman, Crusader and other periods. Israel is also a dynamic center of diverse cultural activities, providing a rich and charming assortment of communities of different ethnic appeal. Israel’s incredible wealth of attractions is supported by an extensive modern tourist infrastructure with up to date facilities and conveniences, ensuring not only an exhilarating and enlightening trip but a safe and comfortable one as well.